Fans of Samsung mobile phones are raving about the new Samsung Galaxy A6 and A6+ and they can't wait for their debut in the Philippines on June 9, 2018. The sleek, stylish, and power-packed Samsung phones showcase superb image capturing features. Both the A6 and A6+ comes with Samsung's near bezel-less infinity display and Super AMOLED screen. These combine seamlessly with its chic and full-metal unibody case. Both the A6 and A6+ are available in a classic black. The A6 also comes in gold, and the A6+ has a blue colour option. “The newest Galaxy A6 and A6+ are designed to stand out,” says Nico Gonzales, Marketing Manager for Core Smartphones. 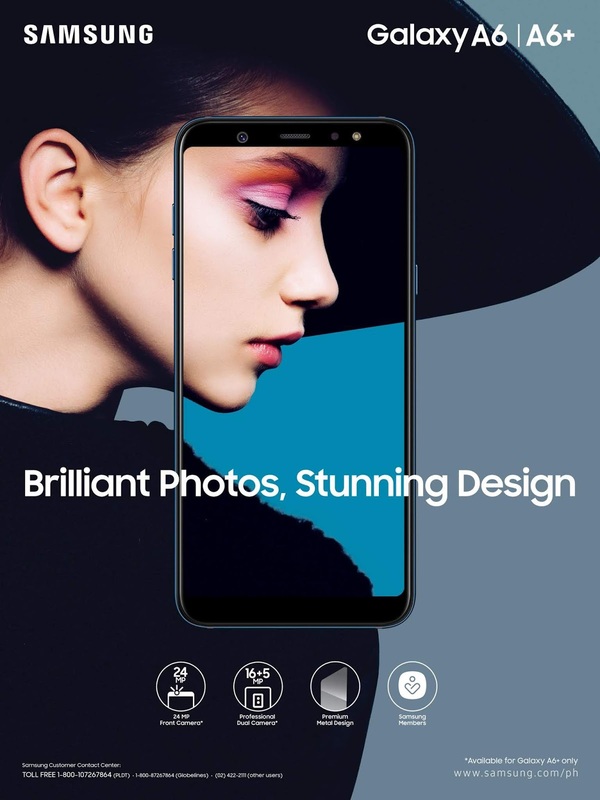 “The rich features and look of the phone, plus the benefits you get through the Samsung Members App, make it the perfect companion for those who create and define the trend." The suggested retail price of the Galaxy A6 is P16,490 while the Galaxy A6+ is at P22,990. To know more, you can visit the Samsung Galaxy Studio located in Bonifacio Global City, Taguig or visit facebook.com/SamsungPH or log on to samsung.com/ph.